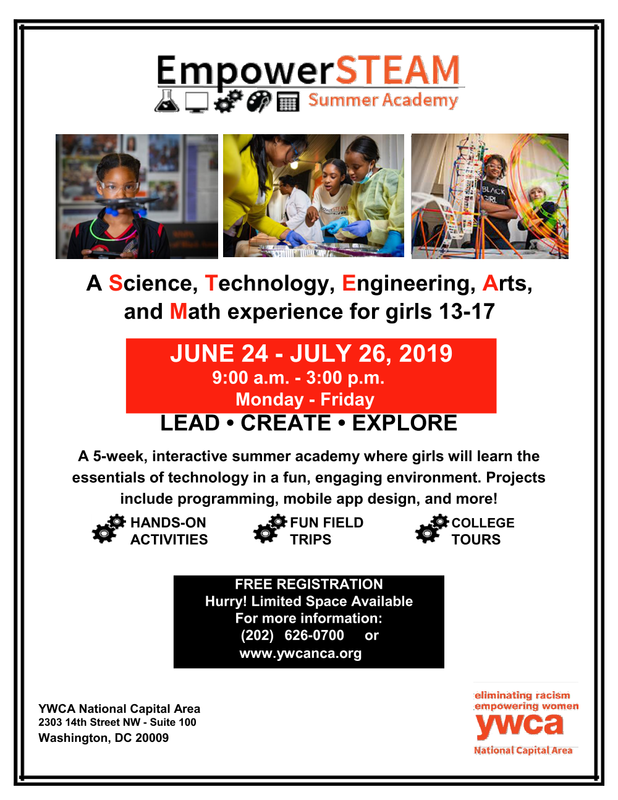 YWCA National Capital Area is pleased to offer the 5th annual EmpowerSTEAM Summer Academy. The summer camp, for girls ages 13-17, exposes participants to STEM in an exciting and engaging manner. Registration is free. Learning the role of math in amusement park design – girls will build a (mock) rollercoaster! EmpowerSTEAM also focuses on college exploration. Participants will enjoy a regional college tour during the final week of camp. Tour stops highlight the best programs for women in STEM in our region. Registration is first come, first-served – but don’t delay! Click here to visit the EmpowerSTEAM page and download an application today!